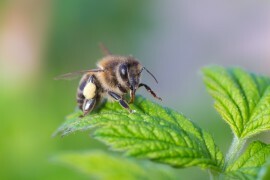 In recent months, there have been legislative efforts in various US states to place restrictions on pesticides (specifically neonicotinoids) that are believed by some experts to be harmful to honeybees and other pollinators. Maryland in particular has led the charge by its General Assembly passing the first statewide consumer restriction on neonicotinoids earlier this year, with many of its actions expected to come into effect in the next few years. While this is a momentous achievement in terms of protecting and preserving pollinator populations, there are some in the state of Maryland saying that the plan for honeybee protection is inadequate for achieving that goal. In speaking specifically about honeybees, the USDA has made many reports regarding the decline of honeybees in the last few decades, with many surveyed beekeepers reporting losses of up to 40 percent just last year. Such losses in the number of colonies, as well as increases in incidents of colony collapse disorder, have been attributed to pesticides, malnutrition, disease, loss of habitat, varroa mites and other pests, and many other factors. While pesticides are merely one piece of the puzzle, reducing any effects they have on pollinators can go a long way, so hopefully Maryland can also lead the charge in finding adequate solutions in eliminating the harmful ones from the market.